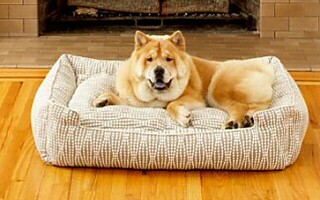 Jax & Bones Dog Beds are made with uncompromising materials and attention to detail. They are committed to providing you with the best in dog beds & bedding using recycled materials when possible. Browse through the Napper, Pillow, Cozy Mats, Lounge, Cuddler, Donut, Memory Foam Dog Beds, Crate Cover Ups and more. Made in the USA. Returns are not accepted on this brand, measure carefully & please call if you have any questions.